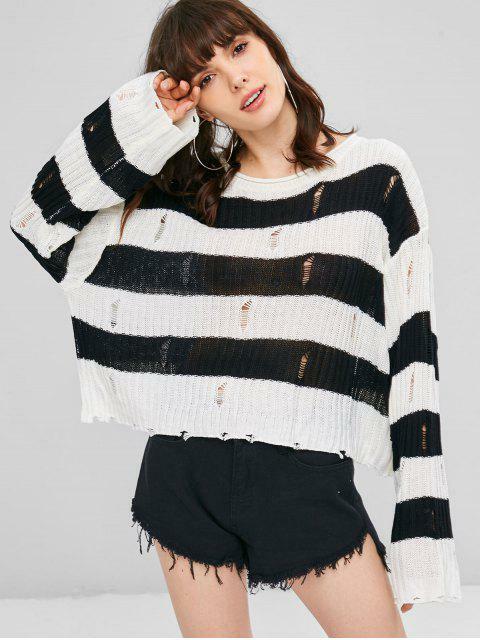 [36% OFF] 2019 Distressed Stripes Cropped Sweater In WHITE | ZAFUL .. Designed with an oversized, cropped profile, this chic sweater has a relaxed, slouchy look with the distressing design and a contrasting stripes pattern throughout. It is a classic cozy style that's rich in texture and style to keep the cool silhouette feeling fresh.